Step 1: Click "Log In"
When you land on the GiveGab homepage, click “Log In” on the top right corner. Step 2: Click "Forgot your password?" 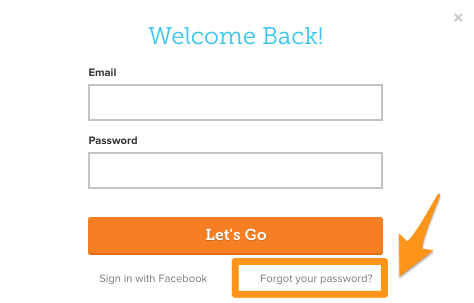 Once you click “Forgot your password?” you’ll be taken to this password reset page. Just enter your email address and you’ll be sent a message with instructions to finish the reset process. If you have any problems, feel free to reach out to to our team via the blue chat bubble in the bottom right corner of your browser or reach out to us via email at customersuccess@givegab.com!